This is a spring retracted charger power cord kit made for this vehicle that travels with you. This is a big time saver when you are looking for a charge! It installs inside your Ford Think electric car so that you can convienently plug in anywhere there is an 110v outlet. The cord end that pulls out and retracts plugs into a wall outlet and comes with a GFCI protector. GEM Car DC to DC Converter. FORD THINK REAR BRAKE LIGHT ASSEMBLY. COMPLETE GEM CAR UPPER REAR BRAKE LIGHT ASSY. FITS 1999 - CURRENT. 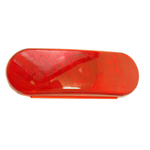 GEM CAR LONG BED TAIL LIGHT ASSEMBLY. GEM CAR LONG BED LED TAIL LIGHT ASSEMBLY. GEM car long bed tail light wire harness. 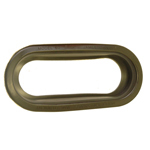 GEM Car Long Bed Tail Light Gasket . 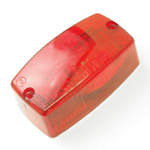 Replacement license plate light for 2004 and older gem cars. FORD THINK LICENSE PLATE LIGHT. GEM car front turn signal lamp assembly with gasket. GEM Car Key Switch with 2 keys. For 2004 models and earlier. GEM Car Key Switch. Fits 2005 - 2012. Replacement momentary TRIP switch for your GEM. Fits 2005 - 2013. Replacement headlight on/off switch for your GEM. Fits 2005 - 2012. Replacement on/off switch for your GEM Car headlights. Fits 2004 and earlier. GEM Car Forward / Reverse Switch. Fits 2004 and earlier. GEM Car Turf Road Switch. Fits 2004 and earlier. GEM Car Wiper Switch. Fits 2004 and earlier. Ford Think twist-on fuse holder replacement. Replacement bulbs for Ford Think Headlight. Replacement bulb for GEM Car headlight. FACTORY STYLE FORD Think Key Switch with connector. Key only comes out in OFF postion. Replacement FORD Think Key Switch with connector. Key is removable in all positions. Rebuilt GEM Car Dash Display and Speedometer readout. GEM Car Main Contactor - Remanufactured. GEM CAR TURN SIGNAL SWITCH. 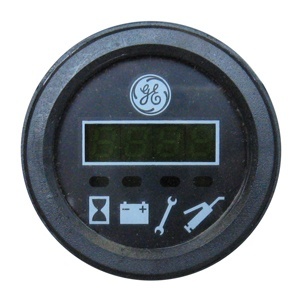 GEM car Master Battery Disconnect Switch. 1999-2004. 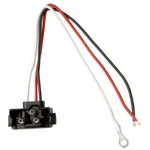 GEM Car snap-in motor Speed Sensor. NEW accelerator pedal assembly for your 1999-2004 GEM cars. Straight plug and play! COMPLETE GEM CAR UPPER REAR BRAKE LIGHT ASSY. FITS 1999 - 2012.